Meraki Lane Inc. offers ideas and information regarding medical research, treatment options, therapies and nutrition to parents of children with autism. Meraki Lane Inc. does not endorse any particular treatment and makes no warranties about the effectiveness of any ideas presented. The information comes from a variety of sources and is not independently verified by Meraki Lane Inc. Please consult a health care professional about any therapies, supplements, or actions you may choose to implement for your child. For our full Disclaimer Policy, click HERE. Being a parent is one of the hardest – and most rewarding – jobs you can ever have. From the moment we bring our sweet babies home from the hospital, we are plagued with worry about things we never thought would cross our minds, and while things tend to get easier as our children grow and become more independent, dealing with children with autism can be a lot more challenging. Autism and parenting is not easy. Loud noises can make a trip to the grocery store overwhelming, changes in routine can cause explosive meltdowns, sensory issues can make mealtimes extremely challenging, and sleep disturbances can leave the entire family feeling tired, impatient, and on edge. But parenting and autism can also be extremely rewarding. Yes, there will be bad days, but there will also be lots and lots of good ones, and with so many different therapies and support options available, there is help for autistic children. And that’s what motivated me to write my free eBook, 18 Tips to Help Support Your Child with Autism. 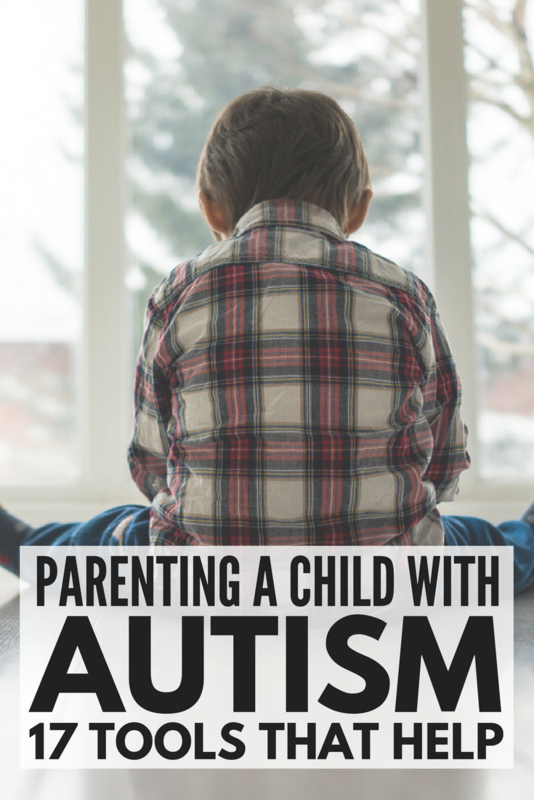 With so many different views, opinions, and personal stories floating around the internet, I wanted to pull together the things I feel will help you not only cope with the day-to-day needs of raising a child with autism, but that will also help you understand your child’s world so you can care for him or her on a more personal level. Interested in giving the book a read? All you have to do is sign-up for our weekly autism newsletter by clicking the button below, and we’ll send you a copy via email ASAP. Our weekly newsletter is filled with tidbits of advice, motivation, and inspiration about raising a child with ASD. It’s designed to give you a place where you feel like you belong and that someone else understands what you’re going through, and we hope you’ll join us! Makes you stop and think, doesn’t it? If you found our tips for dealing with children with autism, as provided in our free eBook, please share this post on Pinterest! And if you’re looking for more tips and tricks about autism and parenting, please follow our Autism board where we share all kinds of fabulous information!